And to get us started, here are (some) of the most important sites to notice when it comes to cryptocurrency trading. You don't have a cryptsy account yet??? Well I'll be d#mn&d! Do yourself a favor and sign up right away. It's free, and if you do it with https://www.cryptsy.com/users/register?refid=102414 , I'll get some extra cryptsy ponits. To show your love for me or just because you are a nice guy. You won't lose anything! You don't have to trade; only create a free account. I still have to take my first steps with them, but the site looks (indeed) very good! It's a cryptsy alternative for the really alternative coins - the coins that are probably gonna make it big in the next few days / weeks / months / year. Main currencies: LTC/BTC/DVC WARNING OPTION TRADING CAN EXPLODE! You can use this service to set up trades with people you do not know. The transaction only gets completed if both parties agree the amounts sent to Coin-Swap are agreed upon. Then, Coin-Swap will send both parties the requested coins. Test, it had some currencies others did not have. I like it has GoogleID/OpenID to login. I do not like the constant time-outs... They need better hosting/servers! Reminds me a little of (2.) Freshmarket.co.in... Always down too! (Currently in beta) Haven't tested it yet. Should do though, some unique coins there. Haven't tested it yet. But Swiss - must be good? For the experts out there - my knowledge will not cut it (at all). Main currencies: $ for BTC/LTC/DOGE on all major exchanges. Not yet tested by me. Not tested by me (yet). Untested by me. Called the "bitcointalk.org Exchange". Not tested by me. Beta. Looks pretty good and complete! Not yet tested - to be launched! Not yet tested - OPTION TRADING - WARNING! CAN EXPLODE! Long/Short? Swap? Take your Stokes calculators out! Not yet tested by me, but I did make an account. Why? I found it in an Antimatter [ANN] article. It comes with solid US regulation in place. They have big plans, among others making the Value Coin Antimatter. It also has an affiliate program, you can sign up for free! Not tested by me. Should check though. Main currency: BTC. Market for many Altcoins. Finally a professional exchange for the obscure altcoins out there! Be sure to register an account! Not tested by me yet. Phasing out! Low volumes. Will transform from exchanging person-to-person to person-to-exchange trading. Update: We're closed Indefinitely while we code a new exchange. Email admin@openex.pw with any questions. BTC/LTC/USD/EUR. Not tested by me. From my friends at twitter.com/ePawnCoin! TURNED OUT TO BE SCAM! Blush. Better late than sorry? With giveaways and referral system too! Closing! On July 24th 2014. Selected altcoins. Chinese with decent English interface. Pays interest! The Multigateway Service allows you to move cryptocurrencies in and out of the Nxt Asset Exchange. 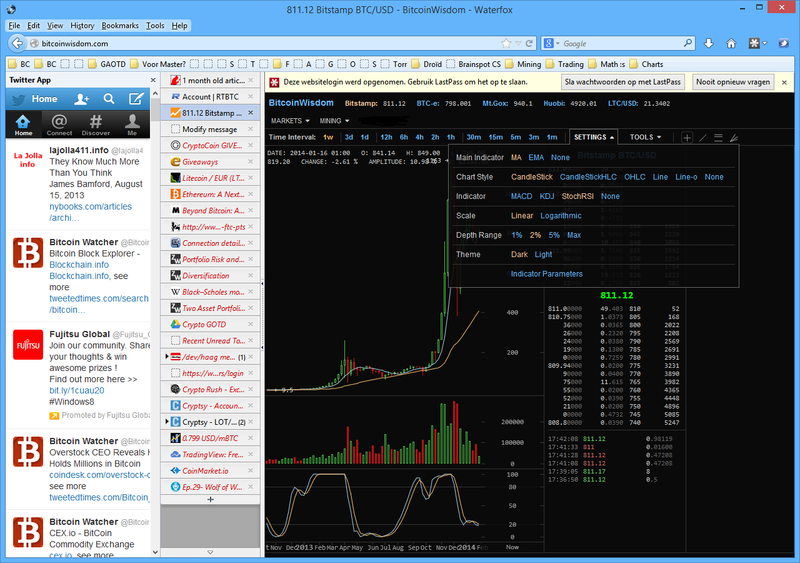 UPDATE: June 2014, I found this excellent (and actively updated) exchange list: http://altcoinherald.com/altcoin-exchanges/ . Main currencies: BTC/USD. What? Shows graphs of current and past prices. Has the MOST coins I've seen anywhere... Shows all relevant information for each coin. Tip for miners: compare mining profitability. TIP by Kayser. Shows which coins are available at which market. Even better: it has graphs Main Currencies... BIGGEST collection EVER: 316 pairs!! Crypto Currency Mining Profitability vs. Bitcoin (SHA-256 & Scrypt). Also see TWC Discussion. Easily convert LTC to BTC or BTC to LTC. Feeling generous? Want to bribe me for some more free coins or a cause of your choosing?? Scrypt.CC? Sure! Hit me up... This one is better than the next one! CEX.IO? Sure! Hit me up... And do click my banner to start affiliating yourself! IF YOU WANT YOUR COIN IN THIS LIST TOO - LET ME KNOW! !